So far, nobody has really come out and said, “Your book should be burned.” So, that’s a good thing, I guess. However, in my experience, the books that people are calling for to be burned are the ones that usually change the world… or at least societal tradition. 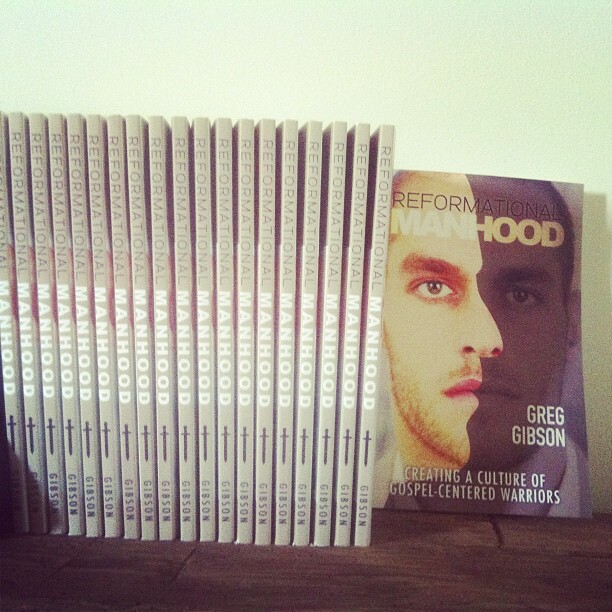 Though I have no idea how many books have been sold, and I realize Reformational Manhood has a unique and specific audience, I am continuing to pray that God would use it greatly to engage the hearts of men — young and old — to be gospel-centered warriors in his great Kingdom. Thank you to Owen Strachan, at Patheos, and the Director of The Council of Biblical Manhood & Womanhood (CBMW), for his kind words toward the book. And, thank you, to Ben Birdsong, a student pastor in Birmingham, AL, who also serves with Youth Ministry 360. Below are some excerpts from their reviews. You can read Owen’s review HERE. And Ben’s HERE. In his well-written book, Greg mixes in textual explanations with personal reflections, and he gets your attention. I particularly enjoyed his story about how he, in trying to be a godly protector of women, had to face down a guy who was threatening his girlfriend (90-92). 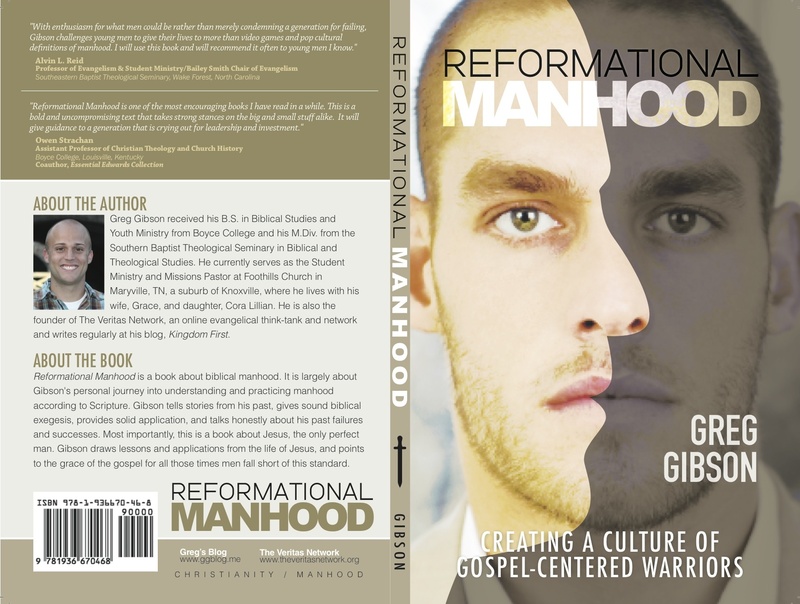 Get Reformational Manhood, read it with your son or your youth group, and be inspired to go to work in Christ’s kingdom as a man. 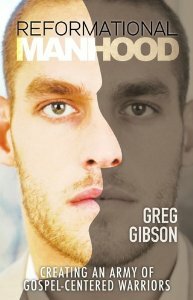 Gibson takes a very gospel-centered approach to the topic of biblical manhood. He is not into writing a book full of boxes to check off in order to become a better man. Gibson realizes the truth that we are all imperfect man trying to follow the perfect man – Jesus. Christ is seen as the hero of the book and is presented as the only truly perfect man. Why Should DAD Purchase ‘Reformational Manhood’ for His Teenage Son? 1. As a dad, you are called to be the primary disciple-maker of your own children. This is a resource that will allow you to walk with them as you do just that. 2. We are a church of wimps, or as CS Lewis says, “Men without chests.” Let’s continue to reverse this and create warrior-men with iron chests. 3. Young men need to learn theology. 4. Young men need to learn the gospel. 5. Young men need to learn to share the gospel. 6. Young men need to learn to defend the gospel. 7. Young men need to learn courage. 8. Young men need to learn to prepare themselves for marriage at an early age. 9. Young men need to learn why they should never, ever paint their toenails. 10. Young men need to learn to be leaders. 11. Young men need to learn to work hard. 12. Young men need to learn to protect women and children. 13. Young men need to learn to make quick decisions amidst numerous possibilities for the benefit of others. 14. Young men need to learn to redeem their time from brainless and stupid activities. 15. Young men need to learn about Jesus, the only perfect man. 16. Young men need to learn how to treat and pursue women, appropriate to their differing relationships. 17. Young men need to be discipled by their dads, or a spiritual father. 18. Young men need stern, relational teaching and correction. 19. Young men need to learn to be servants. 20. Young men need to learn to be gospel-centered warriors. 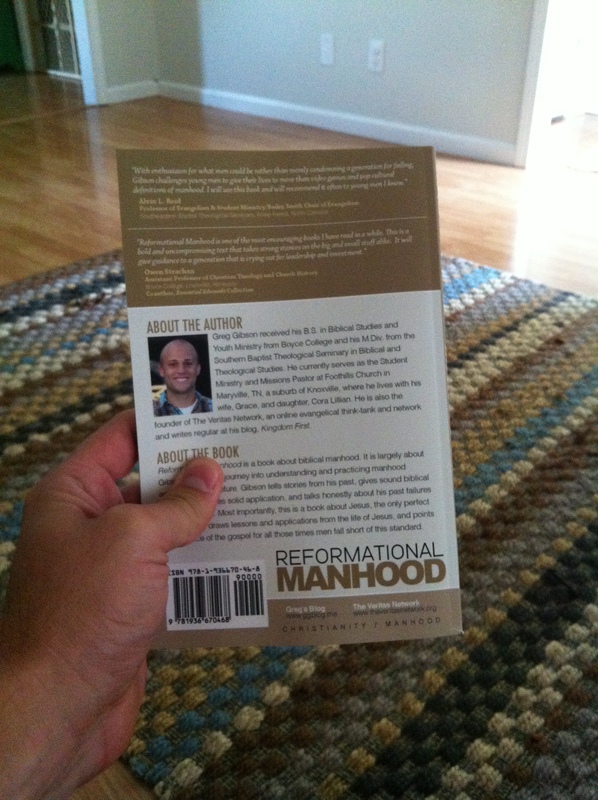 Today alone, I am offering Reformational Manhood for $5.00. Get it for half the price before it hits Amazon at $10.99. 1. Expect authenticity and genuineness. The book is written in large part as my journey into what a man is supposed to be according to Scripture. I mention in the book that I could potentially write an entire book about my failures throughout the last few years. Though this book is not at all focused on my failures, I do, however, give several examples of how God’s grace is truly amazing! 2. Expect honesty about the state of manhood in our culture. It makes me sick to think of how manhood is portrayed by popular culture. On television, in movies, in the sports arena–men portray little aptitude for true manhood. TV shows portray men as sweat-pants-wearing-over-weight-slobs who care nothing about women except for the number with whom they have slept. And if they are married, they are portrayed as wimpy men who get bossed around by an overbearing and head-of-the-home wife. 3. Expect honesty about the state of manhood in our church. In many ways like the state of manhood in popular culture, the state of manhood in our churches largely reflects that of culture. In my opinion, this is changing with intentional pastors who are calling out men to be leaders, providers, and protectors. However, I am still seeing many 20-somethings living at home, scrounging off momma, and living as if they have too much “time” on their hands. Even though they are well into their twenties, they are more like boys who can shave than anything else. 4. Expect to be challenged greatly. 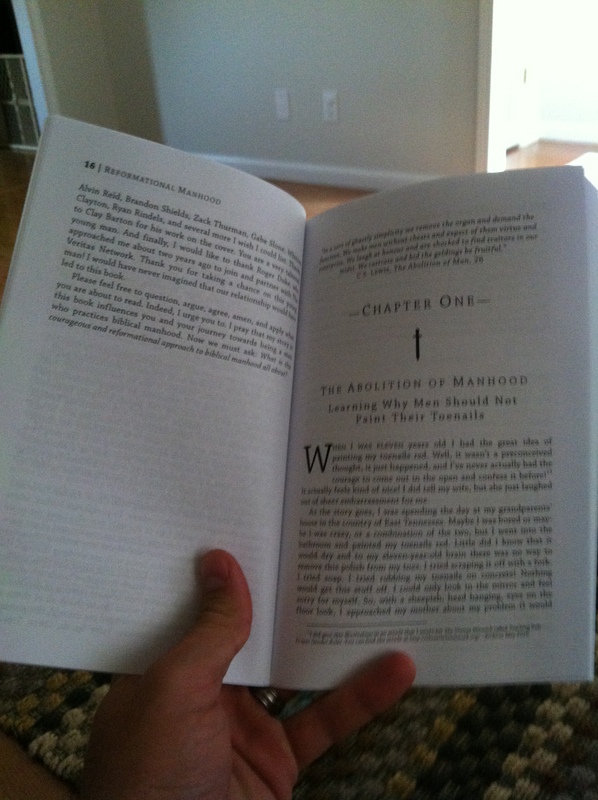 Each chapter is intentional concerning a specific theme for biblical manhood. Each chapter is packed with personal anecdotes, redemptive-historical biblical exegesis, and practical application. In my opinion, you cannot read this book and not be challenged. 5. Expect the book to be gospel-centered and grace driven. Every chapter points to Jesus as the one who perfectly fulfills each “theme.” What’s more, each chapter shows how the grace of Jesus found in the gospel alone is sufficient to forgive us when we fail to be this type of man. The last chapter is all about how Jesus is the only perfect man to have ever lived, and as men, we are called to model our complete manhood after him. To pre-order in bulk, visit the BorderStone Press website. 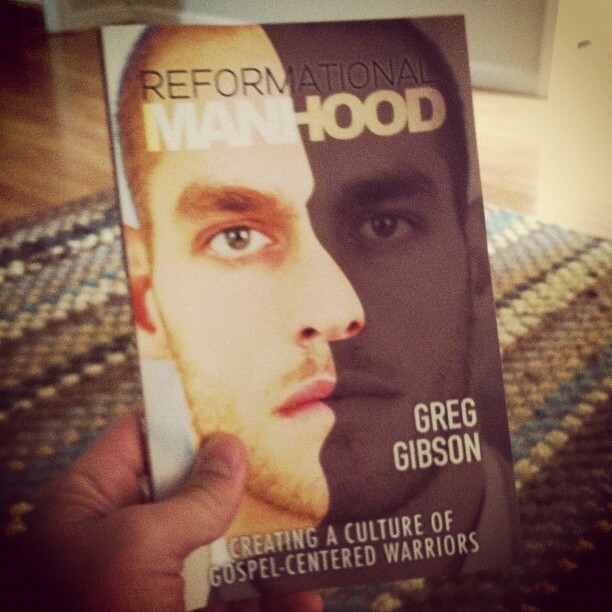 You can now pre-order Reformational Manhood: Creating a Culture of Gospel-Centered Warriors. However, the pre-order is for bulk orders only for youth pastors, college pastors, or anyone else who would like to purchase 10 or 20 copies at a time. With a special offer get a case of 10 books for just $79, which includes shipping and handling. That’s a savings of over $50 plus shipping. Get a case of 20 books for $140 including shipping. That’s a savings of $119 dollars. Just click the link button below. Click here to purchase at BorderStone Press. I am praying that this book launches you and your small group towards a reformational view of biblical manhood. Set to begin shipping this week. This offer is only available in the continental USA. The book is set to release for individual purchase by the end of this week for $10.99. 1. Lecrae’s new album — Gravity — dropped today and hit #1 OVERALL ON ITUNES. That is HUUUUUUUUGE for a Christian artist. Way to create culture! 2. Jeff Bethke released his new spoken word video called Counterfeit Gods. It is a lyrical puzzle of gospel-centered goodness. 3. I released the new Reformational Manhood Campaign. Okay, I know this last one is nowhere close to the level, at least in my opinion, of Lacrae and Bethke, but it still drops today. Help me, like Lacrae and Bethke, continue to create gospel-centered culture amongst our generation. We must challenge young men to step up and be men who love the gospel, defend it, stand for moral courage, lead, provide, protect, make good decisions for the benefit of others, clothe themselves in holiness, love the local church, and strive after being a one woman man for life. 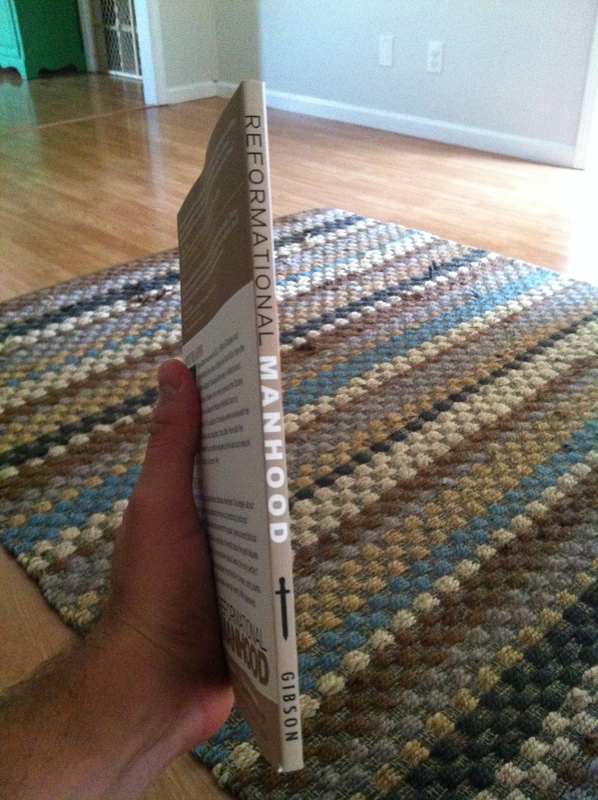 REFORMATIONAL MANHOOD Proofs are Here… almost to the finish line!